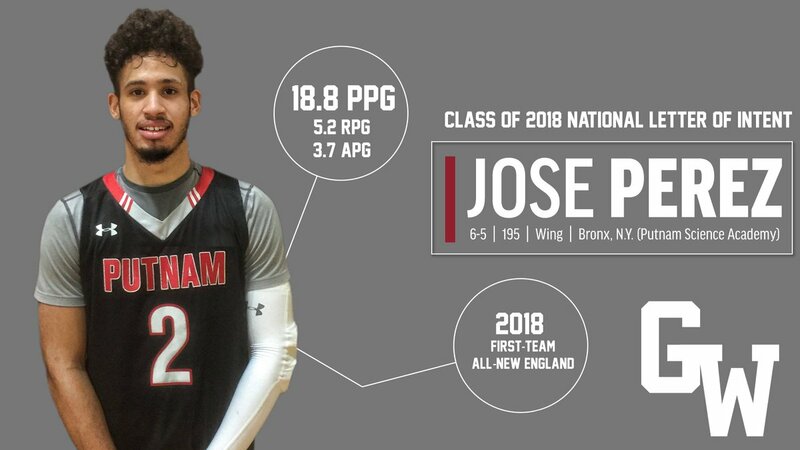 ...In fact, there’s still prospects on the table with high-major offers including Woodstock Academy’s Luis Rodriguez and Notre Dame Prep’s D.J. Mitchell. Holderness’ Philmon Gebrewhit scored offers as high as the Atlantic 10 over the course of the last year. Then there’s guys like Kimball Union Academy’s Nick Timberlake who is coming off a huge season and sifting through his offers. Raheem Solomon, Sacred Heart – An ACL injury cost him the latter part of his junior year and virtually the entire grassroots season. He came back having added to his game though with a notably improved shooting stroke off the catch and the dribble. As his athleticism gradually begins to return, he has a chance to be better than ever. BJ Shaw, Brewster Academy – The son of longtime NBA player and coach Brian Shaw, B.J. is a late bloomer who was a quick standout at Brewster’s fall open gyms with his combination of perimeter size, athleticism, and shot-making ability. Incredibly, he didn’t have a D1 offer prior to his arrival but now has his choice of suitors. ...Much like the forwards though, guards can fill a variety of different niches in today’s game. The most endangered species of the bunch if the prototypical point guard who plays with a pass-first style and understands what it means to run a team. The more modern day lead guard runs the show but with more of an attacking mentality. There's still some throwback style two-guards out there who play exclusively off the ball while combo-guards are equally capable of playing on or off the ball. Jonas Harper, St. Luke’s – With a college ready body and a game that has gone to new levels this year, Harper might be the best of the combo-guard bunch. He plays through contact, is a much improved shooter, gets good elevation into his release, can defend, and is a better passer and ball-mover than he often gets credit for. Ian Krishnan, Proctor Academy – A former two-sport athlete who brings a grid-iron like approach to the hardwood, this Maryland native isn’t just competitive, he’s also skilled as he can rain in threes from behind the arc with the best of them. The final Rivals150 for the class of 2018 is complete and Duke-bound wing R.J. Barrett held off a strong charge from North Carolina-bound forward Nassir Little to retain his claim to the No. 1 spot. Jumping from No. 32 overall all the way up to No. 14, USC-bound shooting guard Kevin Porter made the most notable leap of the two new five-star prospects. Also making the move to five-star status is Wake Forest-bound forward Jaylen Hoard, who moved from No. 30 to No. 25 overall. The West Coast was home to the biggest movers in our final 2018 rankings. Arizona- bound combo guard Devonaire Doutrive and Buffalo-bound wing Jeenathon Williams (a New York native) each rose an impressive 46 spots, moving to No. 79 and No. 83, respectively. Right on their heels is another California-based player in James Akinjo, who rose 45 spots from No. 113 to No. 68. Future teammates making notable moves were Michigan-bound big man Collin Castleton and point guard David Dejulius, who rose a combined 78 spots to finish at No. 85 and No. 93, respectively. Forcing their way into the final rankings were six players, led by Western Kentucky-bound guard Dalano Banton. Banton debuted at No. 76 overall, while Maryland-bound guard Serrel Smith at No. 128 and Rutgers-bound scorer Ron Harper Jr. at No. 132 also debut as four-star prospects in the final Rivals150. 6’8” Adria Amabilino-Perez ‘18 named one of the best available forwards in New England by @NERRHoops! Running with @NE6Hoops this spring. Who are the best Small Forwards in the 2018 Class?